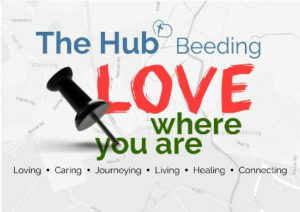 Registered in England and Wales as The Hub, Beeding: Upper Beeding Baptist Church, charity number 1173420. Friday 19th April Daily Notes from the HUB. Thursday 18th April Daily Notes from the HUB. Wednesday 17th April Daily Notes from the HUB. Tuesday 16th April Daily Notes from the HUB. Monday 15th April Daily Notes from the HUB. Saturday 13th April Daily Notes from the HUB. Friday 12th April Daily Notes from the HUB. Thursday 11th April Daily Notes from the HUB. Wednesday 10th April Daily Notes from the HUB.